Wa Kika Heladería in Sayulita, Mexico - The name of Wa kika comes from the Huichol, which is one of the local indigenous languages here in Nayarit, México. Translated into Spanish it means "Las Olas" (The Waves). With two locations to enjoy, you are always close to a refreshing treat! Our Plaza Ágora location is just steps from the beach, and our other location is on Revolucion next to La Rustica restaurant. All of our products are handmade with local fresh fruit & purified water. We are a family business dedicated to producing and selling popsicles, ice cream, and flavored water. We make fruit bars, ice cream and juices. Our recipes come from generations of Mexicans perfecting high-quality products and taste. To offer healthy and refreshing, high-quality products which are 100% natural at competitive prices allowing our company to grow and be part of the future in Sayulita. Our goal is to offer an alternative, healthy refreshing drink or treat. We make frozen, fruit based and natural products with fruits from the area, purified water, high-quality milk and cream based ice cream. We make a difference in the market with our fresh and clean image, giving our customers friendly service and serving our products with a smile. There are many dairy free options available, simply ask for "sin leche" (without milk). Contact us for catering or delivering to special events: birthday parties, weddings and any gatherings where you would want to enjoy a tasty treat. The best ice cream and paletas! I adore the pistachio paleta! It's so good. We just don't have good pistachio in the United States, so I fill up on these from Wa Kika when I am in Sayulita. The are all good, but it's really good. Wa Kika has great frozen treats and great service! I wish there was one local to me. I’m hooked. Amazing popsicles every flavor you’d want! There are so many amazing flavors of fresh fruit at Wa Kika, it is hard to choose a favorite! My top choice is the coco sin leche (coconut without milk). However, the piña (pineapple), fresa (strawberry), and mango are also really delicious. 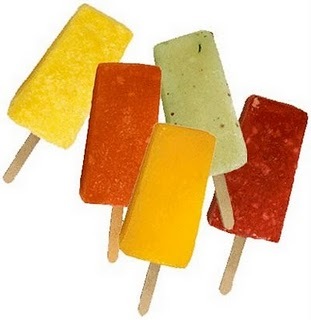 These are more like a frozen fruit bar than a popsicle, because there are yummy chunks of sweet, ripe fruit, and they are made with purified water. This is my go-to place for a refreshing pick-me-up on a hot day, or even for a late night sweet treat. Love it! One if my favorite places in Town! Delicious ice cream and lollipops and tasty, refreshing water.